Grades K - 3: A fun exploratory tap class focused on beginner fundamentals of tap dance. We will focus on building tap vocabulary, and sound/rhythmic understanding. Class includes center warm up, across the floor, and choreography combinations! Grades 4 - 6: An intermediate tap class focused on building off of beginner tap dance fundamentals. We will focus on advancing tap vocabulary, sound/rhythmic understanding, tap dance composition, and introduce performance styles. 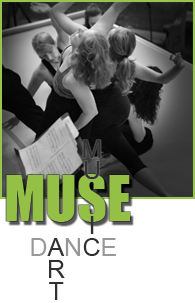 Class includes a warm up, across the floor, choreography combinations, and improvisational exercises! Grades 7 - 12: A fast-paced advanced tap class focused on reinforcing and polishing tap dance skills. We will focus on advanced tap vocabulary, sound/rhythmic understanding, tap dance composition, and performance style polishing. Class includes a warm up, across the floor, choreography combinations, improvisational exercises, and tap dance repertoire study!